Cleansing diet and detoxifying foods help in flushing all the toxins out from your body. The natural cleansing methods of fasting once a week and including detoxifying fruits and vegetables in your diet can give you a clearer skin and a better immune system. Here are some foods that detoxify the body and also help in restoring the body’s healthy vigor. 1. Avocados – The fruits are loaded with heart-healthy mono-unsaturated fatty acids and fiber and are highly rated for their detoxifying qualities. 2. Beetroots – According to the American Journal of Clinical Nutrition, they reduce the oxidation of bad cholesterol, protect the artery walls and guard against heart disease and stroke. 3. Broccoli – This works with the enzymes in your liver and eases up the work of toxin removal from the body. 4. Cabbage – Incorporate in your diet through cabbage soup or by including it in your vegetable curry and witness its detoxifying wonders. 5. Asparagus – Along with the detoxification benefits, it reduces the free radicals in your body and keeps your heart healthy. Bad Oils – Do you know the dangers? ACCORDING to the Ministry of Health, four out of five Fijians are dying from non-communicable diseases including diabetes, cancer, lung and heart disease. Unlike virgin coconut oil or olive oil that can be extracted by pressing, the manufactured oils have to be extracted in very unnatural ways. Today the average consumption in the US is 30 kilograms a year; per person! Even today, despite the fact that heart disease and cancer continue to rise at an alarming rate while butter consumption is down (and vegetable oil consumption is at an all-time high), people are still believing the hype and buying this very non-traditional, non-healthy food-like product. So why are vegetable oils bad? Vegetable oils are bad because they contain very high levels of polyunsaturated fats (PUFAs). But did you know that the fat content of the human body is about 97 percent saturated and monounsaturated fat? Our body needs fat for rebuilding cells and hormone production. And it can only use what we give it. Polyunsaturated fats are highly unstable. They oxidize easily, meaning they cause inflammation and mutation in cells. That oxidation is then linked to all sorts of potential diseases. 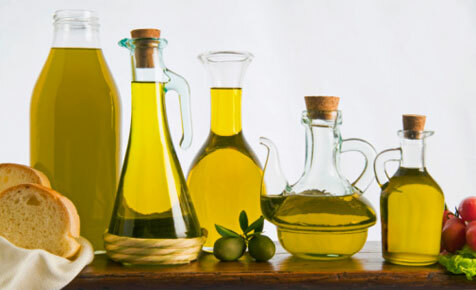 Vegetable oils also contain a very high concentration of Omega 6 fatty acids. These fatty acids also oxidize easily. Omega-3 fatty acids have been shown to reduce inflammation and protect against cancer. Unbalanced levels of Omega-3 and Omega-6 fats have been linked to many types of cancers and a host of other problems. Author Julianne FredricksPosted on December 4, 2016 January 17, 2017 Categories UncategorizedTags Genetically Modified Foods, News by natureLeave a comment on Bad Oils – Do you know the dangers? Arthritis is a painful condition that can limit a person’s ability to complete daily tasks. But with the help of exercise and natural remedies, arthritis can be manageable. How arthritis can affect your hands? Arthritis in the hands can lead to pain, swelling, and stiffness, making it quite difficult to use the hands properly. You may find your grip has become weaker and tasks that were once easy – like turning a faucet on – have now become much more difficult. Apple cider vinegar: Apple cider vinegar is a natural anti-inflammatory. Honey and cinnamon: Combine a tablespoon of honey with half a teaspoon of cinnamon and consume each morning on an empty stomach. Epsom salt: Epsom salt can help reduce stiffness, inflammation, and pain. It is packed with magnesium, which is essential for bone mineralization. Garlic: should be consumed regularly to reduce inflammation and pain. Fenugreek seeds: Fenugreek seeds are anti-inflammatories that also provide antioxidants. Tired all the time? Boost Your Energy Levels with these foods! There are natural ways to boost low energy, and nutritionist Sarah Flowers spoke to Express.co.uk to reveal her top tips. “Despite being told that eating lots of carbohydrates will give us energy, we need to look at more nutrient dense ways to feed our body with slow releasing carbohydrates, such as sweet potato, quinoa and wholegrain rice. Sarah recommended adding Vitamin B to your diet: “To boost your energy levels, ensure you take a good quality B Vitamin Complex, which will deliver all essential B vitamins. A magnesium deficiency can result in fatigue, so getting enough is important, as Sarah explained: “Magnesium is one of the main nutrients involved in our energy process and even a mild deficiency of magnesium can result in fatigue and even symptoms similar to chronic fatigue syndrome. You may not have heard of Coenzyme Q10, but Sarah reckoned it is a key ingredient to add to your diet. She said: “This is one of the main nutrients needed in the manufacture of energy within the mitochondria. Author Julianne FredricksPosted on December 4, 2016 January 17, 2017 Categories Diet, WellnessTags Diet, eat healthy, News by nature, WellnessLeave a comment on Tired all the time? Boost Your Energy Levels with these foods!